Greenwich towers approved – green light for more next door? 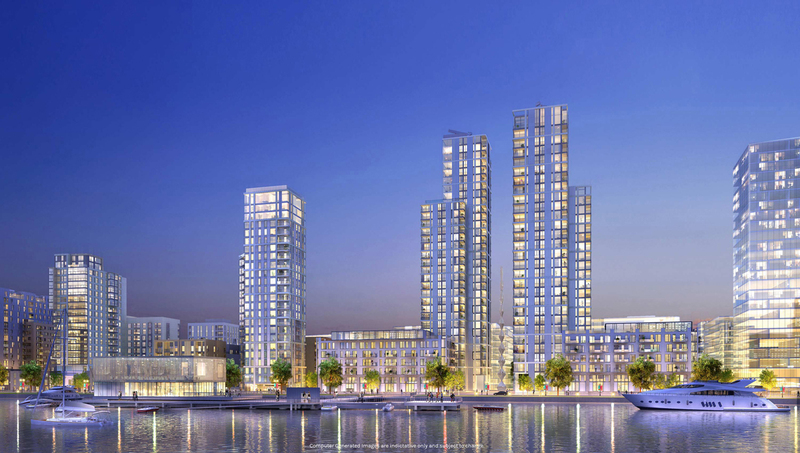 Alongside the contentious Cruise liner terminal in Greenwich, the council approved three towers last night at the Enderby Wharf development in Greenwich. Could this decision to permit a 31-storey tower now have wider repercussions on developments surrounding the site? 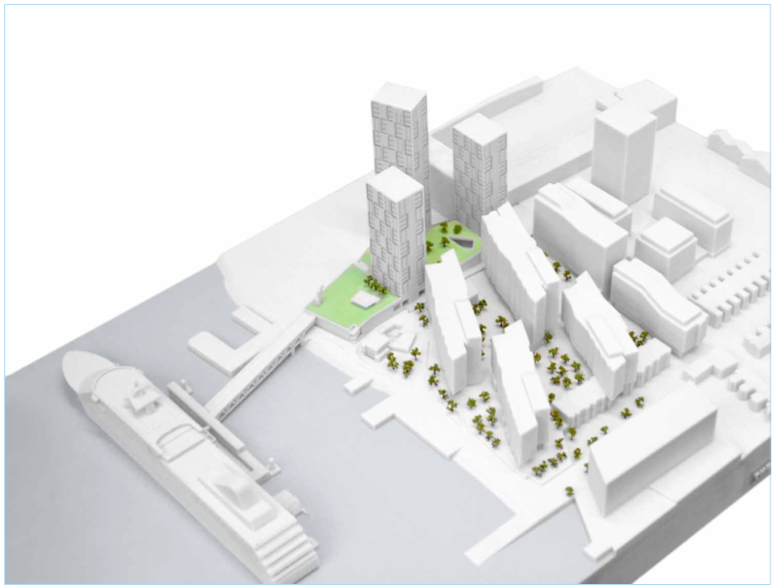 Directly adjacent to the towers is the first stage of Enderby Wharf, below that ‘The River Gardens’, to the east is ‘Telegraph Works’, and the north is Morden Wharf. 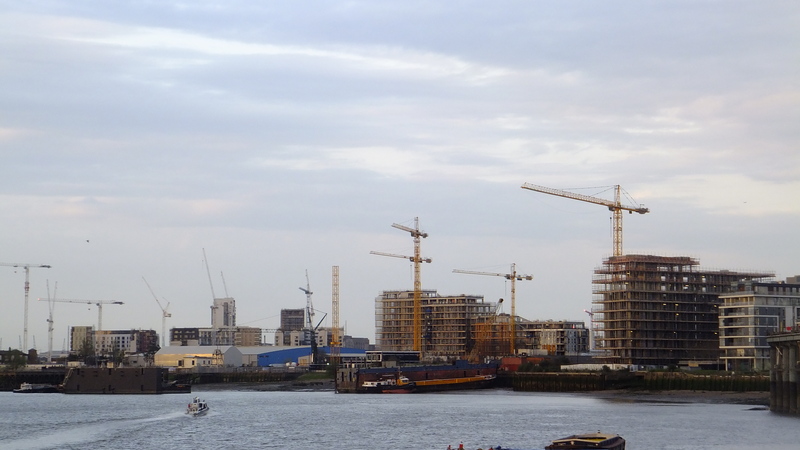 Stage one of Enderby Wharf is already well underway, with two mid-rise blocks, located furthest away from the riverside, pretty much complete. Two others are now well under construction for completion in 2016. 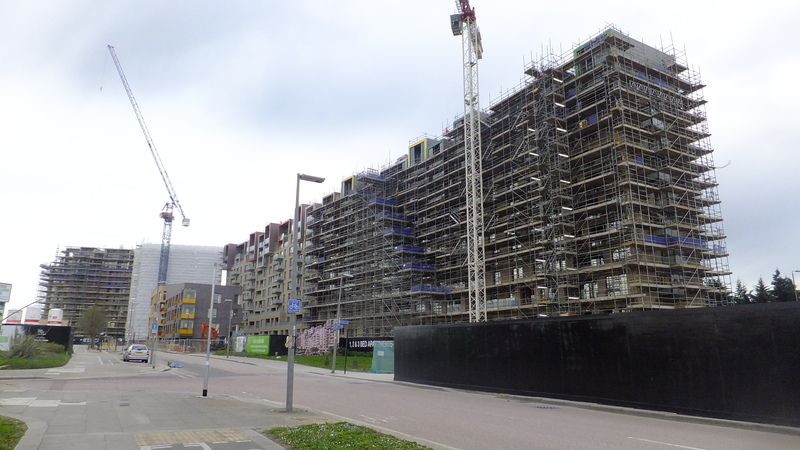 The plan is then for two riverside blocks to begin in 2016 and then 2017. All blocks are roughly the same height in existing plans, but with tall towers directly next to the two riverside blocks now looks likely they will be in for revision, particularly the block closest to the towers, which starts construction last. Directly south of those is ‘River Gardens’. Two riverside blocks are complete. Another is now approaching completion, and followed a planning battle in which developers London & Regional wanted to build higher. Depending on what planning document you look at, there are one or two more blocks on this site to be built. Expect further plans for them to rise in height, the further north and closer to the river the building is. Greater height of newest River Gardens block can be seen. This stepped effect to continue? Further inland is Cathedral and Development Securities’ ‘Telegraph Works’. 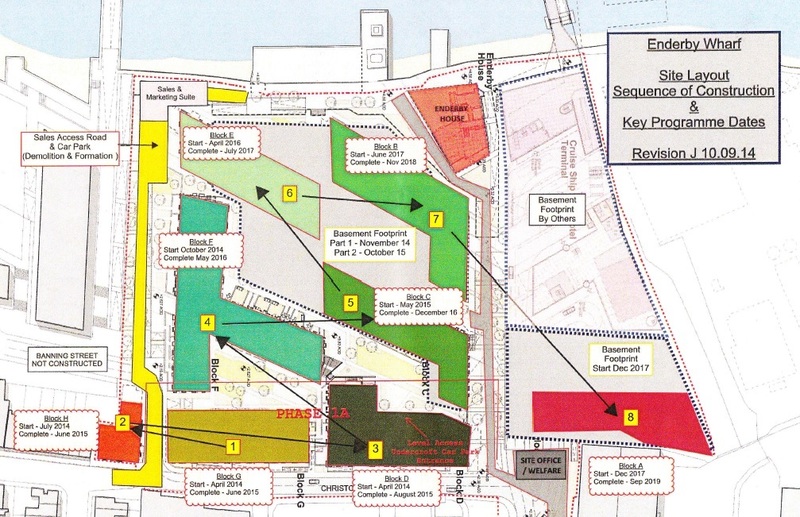 272 homes are planned here on the existing site of an Alcatel factory, which is being downsized. It incorporates one tall building ,which was approved in 2014. Could we now see revisions upwards? Finally, to the north over the three approved towers is Morden Wharf. This site is the least advanced. No planning application has been made. You won’t see much on site except the old train carriage/cafe that resided beside Deptford station. That’s because both sites are owned by developers Cathedral Group and Development Securities, who also own the adjacent Telegraph Works. This site will be beside the three Enderby towers and doesn’t have to worry about any low rise residential in the area, so the skies the limit (or rather London City Airport approach restrictions). With all these people the wrong side of the road from the o2 and Jubilee, will Greenwich now finally focus on improving connections to them? At Greenwich Millenium Village’s stage three site, ‘parcel 1’ is now just about complete. The snappily titled ‘parcel 2’ will in all likelihood start soon. Detailed planning permissions have been submitted recently and developers Countryside Properties are expected to begin sales this summer. This imminent ‘parcel’ will be even closer to Westcombe Park station and East Greenwich. 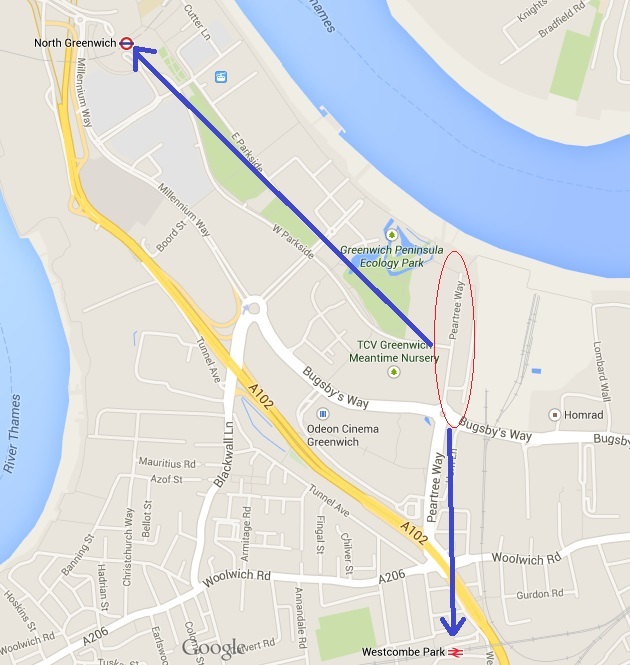 Do Greenwich want to attract the thousands of new residents to East Greenwich businesses? If so then comprehensive improvements to walking and cycling links are a must. 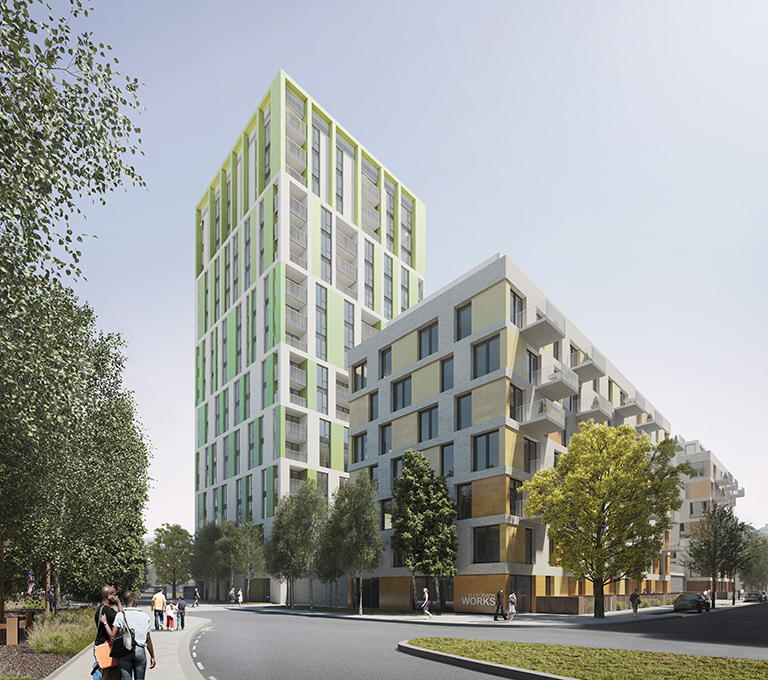 Like the northern Blackwall crossing on Blackwall Lane, which all the developments at the top of this post will need to use to head north, this development’s residents also have atrocious connections across the road when heading south. Pedestrians are currently actively discouraged from walking south by a complete lack of crossings and physical barriers installed by Greenwich Council, to the detriment of East Greenwich’s businesses. So what public transport will there be to accommodate these developments? Well, the Jubilee will get an extra 6 trains an hour in 2019, raising frequency from 30 to 36 tph. Southeastern metro routes have no confirmed additional trains whatsoever – almost alone for any operator serving London. 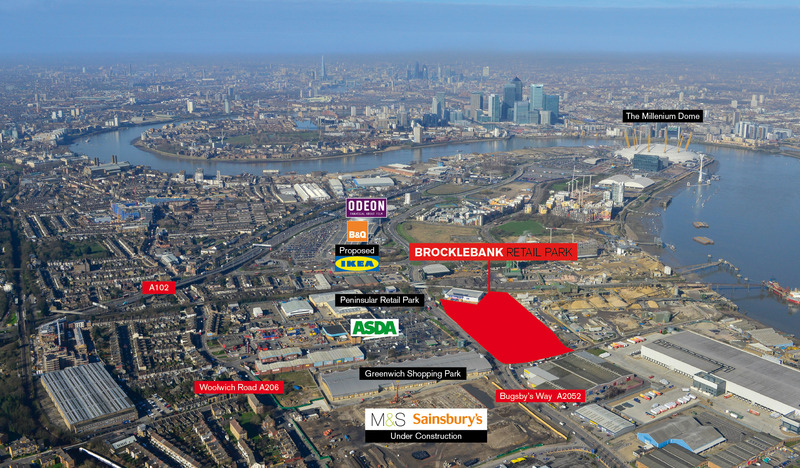 Most of these developments are closer to train stations than North Greenwich tube station. Hopefully many will take to the river boat services alleviating pressure on rail. Oh, one last thing to add more traffic to the roads. 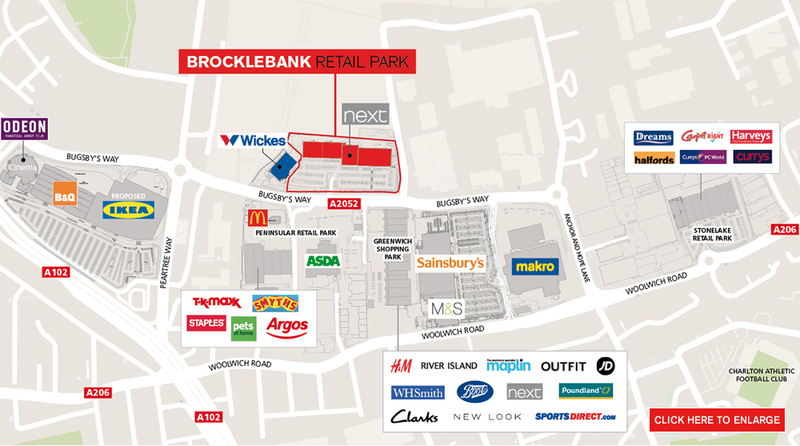 The Brocklebank retail park is also progressing, with an increase in car parking spaces approved last night. 454 in total, and some stores with no presence in most of East or South London will attract more traffic to the area. I want to make clear I don’t disagree with tall buildings in most of these areas. It’s just that infrastructure plans are so lacking in dealing with it, and the developments include such pitiful amounts of ‘affordable’ housing. A road tunnel wont fix the transport problems, and central government seem unconcerned about investing in the necessary infrastructure and public transport, whilst the Treasury and central government clings onto power and refuses to allow cities like London the power they need to deal with it. London desperately needs housing, and proliferating retail parks in 2015 with such a need is beyond foolish. It also needs infrastructure to deal with it. Currently it’s getting both very wrong. The lack of serious consideration about transport infrastructure and associated pollution caused by increased people/traffic is genuinely baffling. Having kept an eye on all the major developments in Greenwich and Lewisham it seems tertiary to every planning decision. Sticking an extra bus route in will not help. I think there’s a belief crossrail will solve everything for the next 5 years after launch, so no-one needs to worry. Trains and roads are already a complete mess during considerable hours of the day, how on earth are they meant to cope in the coming years!? I’m planning to write a post about the transport assessments in planning applications. They seem extremely flawed. I’ve seen some developments with around 1000 residents and only 20-30 forecasted using trains in the peak. And they often assume as many travelling away from central London as too. I find the addition of a bus route or some new stops pretty laughable. Even Deptford, which is 6 minutes to London Bridge on a train or 10 to Cannon Street and the City, is an hour on a bus according to TfL. No one uses them to commute to central if they can help it. I’ll read that post with interest. Yes, all developments seem to rely on buses or existing train connections in to London. Buses are a mess, e.g. try getting down the Blackheath Road between 8-10, or 4-6…what should be a 5 minute journey is more like 30 minutes (at least), and all the while the mix of private, public and commercial (so many lorries) vehicles are belching out enormous amounts of toxic fumes. Trains can’t cope with the Thameslink programme, and I don’t have much faith once the improvements are competed in 3 years time. Cycling, no thanks – awful air pollution and very dangerous. River boat? Expensive, but could be utilised better. Still, doesn’t leave many options…oh wait, Crossrail is coming. One of the things about Thameslink is that that when complete Cannon Street will have a cut in trains that can go there in the peak. Charing Cross likely will too. It was originally intended that some SE Metro Dartford trains would divert to Thameslink via Blackfriars. This is now not happening. It could also be the case that no additional SE longer distance trains divert to Thameslink in 2018. If so, that’s less capacity for Southeastern at the terminals of Cannon Street and Charing cross. Services are presumably cut. As a pedestrian/commuter, I can’t help but focus on the SouthEastern train service. We lost a couple of peak-time services during this first bout of works at London Bridge, and will lose several more post-Aug 2016. Echoing Jammy_Jim, I simply don’t believe that services will be restored in 2018. It’s not like there’s spare capacity/efficiency at the moment. And isn’t Crossrail already projected to be at capacity the minute it opens? The pollution prospect is truly frightening. Twenty years ago, when I lived near the river, my doctor blamed air pollution for my frequent bouts of catarrh, which promptly disappeared when I moved up Royal Hill way. There’s no way I’d willingly move near the Peninsula now (but I suppose all the overseas investors picking off those choice Knight Dragon apartments won’t be there anyway).